Letra inspirada. Música deliciosa. Interpretação comovente! Now that I have been so priveleged as to stand in the same arena with you Sting, I have a whole new appreciation of you, your talent and above all else, your heart. This song, this arrangement touched me deeply. It brought tears to my eyes and a smile to my face! Your old friend, Margaret. It´s simply "Beautiful".... 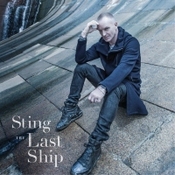 Thank you Sting for being such an exquisite artist... I´m looking forward to listening to the complete album soon. Such a great song it is. I am so extremely excited for this new album, for me it will be one of the best pieces of music that has came out. The first song of the trailer is simply amazing. luv it, luv it, luv it!!! :-) Wishing that I was a UK resident right now. Could win me some tickets to fly to NYC for the birthday concert! Is a losing game...? She must be goodlucking.minstens ! A beautiful melodie, I like to listen to this song! Is a losing game...? She must be goodlucking.minstens?